How you handle each event days in your life might be your biggest indicator of weight control success you have! Holidays, football games, movies, weekend happy hours, restaurant dinners with friends, break room birthdays; it's never ending. Food is at every event or holiday celebration. Good intentions for healthy eating get stuffed as you are goaded by friends to join in the eating fun! The first couple of days following splurge days leave you craving more junk food too, and apt to fall for some common food thinking mistakes. Life is about developing healthy diet habits, but allowing treats too. Fill out an Event Meal Planning Chart that is different than your Daily Meal Planning Chart. Follow this on event days. Plan an extra 200 to 500 calories to be used at your outing. You have two options at this point: Either decrease meal calories a bit on the event day or the day after. You might shave an extra 100 calories off of your meals and snacks for the day to allow for extra calories. It's not that hard. This will allow you to enjoy events with no guilt. If you were not able to do that, then go a bit light on the following day. Realize that the first two days following event days will be difficult. You have let down your guard a little bit and there is the temptation to keep the guard down. Reign in those wayward thoughts and go back to your standby healthy meals. It helps to have your cupboards full of healthy foods and not trigger foods that will look tempt you. Understand that it's your thinking that often gets you into trouble. Eating choices do start in your brain. Learn to replace sabotaging thoughts with helpful ones, and which particular food thinking mistakes get you into trouble. So few people find food thinking solutions, yet this is an area that is easy to fix. 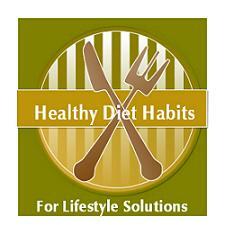 Follow the general rules for healthy eating and any tips for your problem areas. Avoid all fried foods, processed foods, saucy foods, and the foods that trigger you to eat too much. Stick with light meals at restaurants and always box up half of your meal for proper portion control. Follow healthy diet habits like the half plate rule, but allow for your planned splurge and take delight in it. Enjoy every bite. You planned it and life is about enjoyment and not constant deprival. Eliminate drink calories unless it's your planned splurge. The average person drinks 400 calories in liquids per day. Eliminate your usual daily drinks and substitute in your splurge instead. Simple. Plan in all alcoholic drinks. A happy hour can greatly sabotage your weight, if you keep up with your friends and eat the fried goodies that often look so great after a couple of drinks. Dieting has left many of you with the mindset that eating a treat is bad, resulting in guilt, which leads to emotional eating of comfort food to feel better. Special days happen, involve eating, are allowable, and easily planned for. Enjoy treats without denial, but realize that most of you must practice healthy eating habits most of the time for weight control, and find great lifestyle solutions for your unhealthy diet habits.